Growing up in Jakarta, we are familiar to Japanese food. 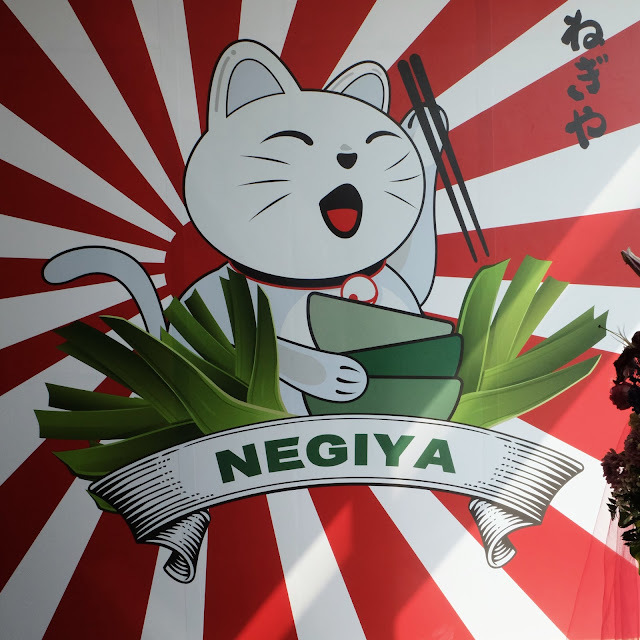 Japanese restaurants used to be this fancy, wear-your-Sunday-best-outfit, and maybe twice a year feast thing. Nowadays, Japanese restaurants are for common people who like to wear their sandals and t-shirts trying to get their belly filled. Negiya Donburi restaurant is an established franchise from Melbourne making its debut in Jakarta. 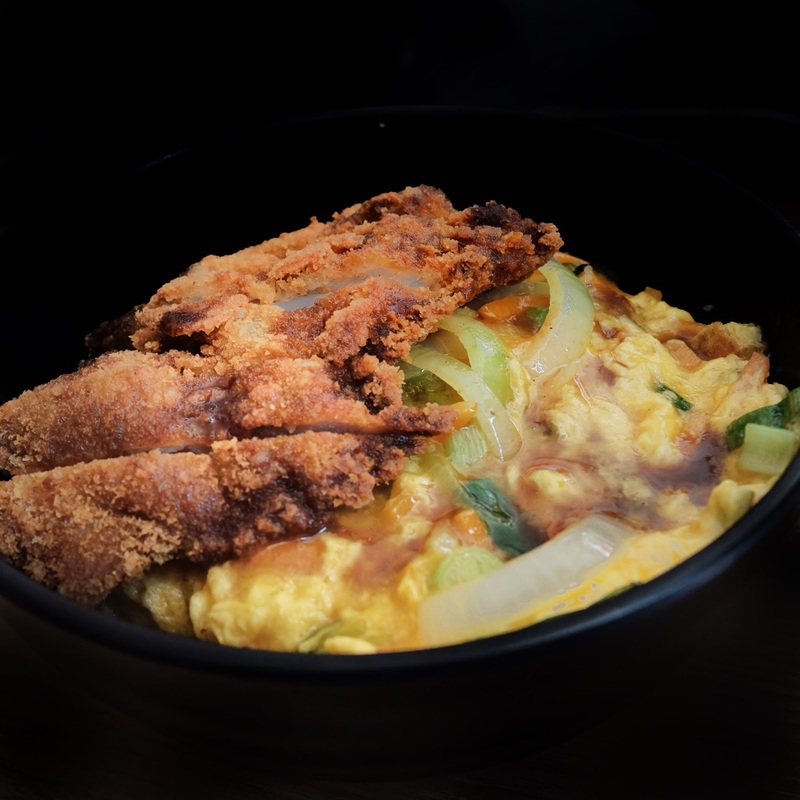 Donburi literally means ‘bowl’ and in Japanese, it referes to savory stews, katsu curry or yakiniku over rice. 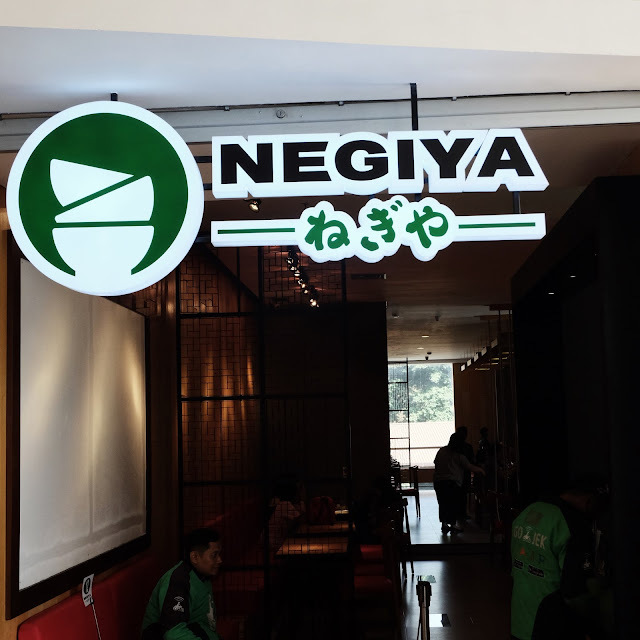 Located at City Walk Sudirman, Negiya has Menya Gyutan Don as their signature dish. 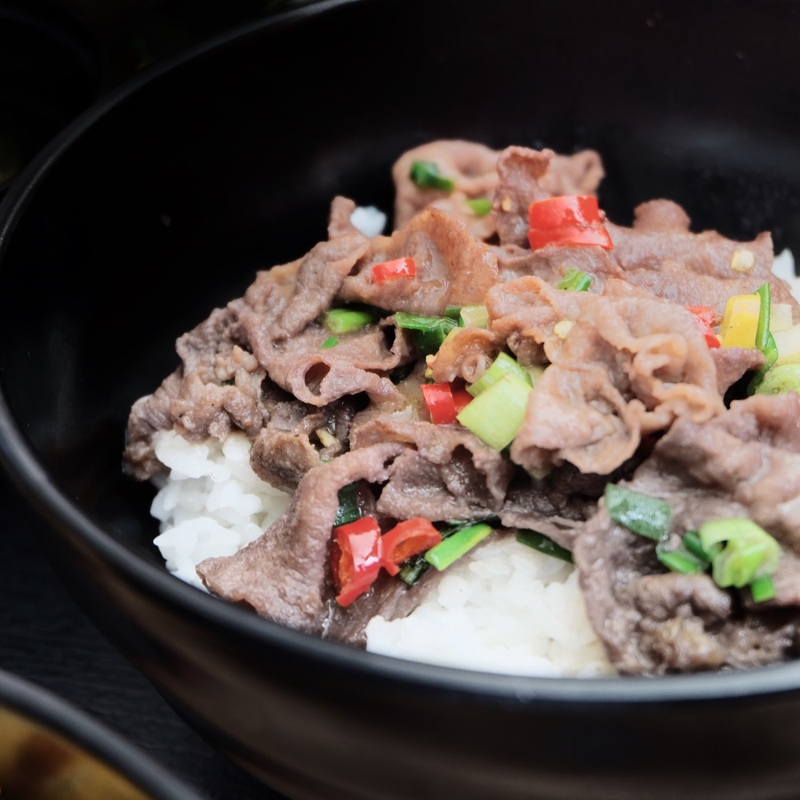 For those Gyutan lovers out there (for those acquired taste) it is a special treat! 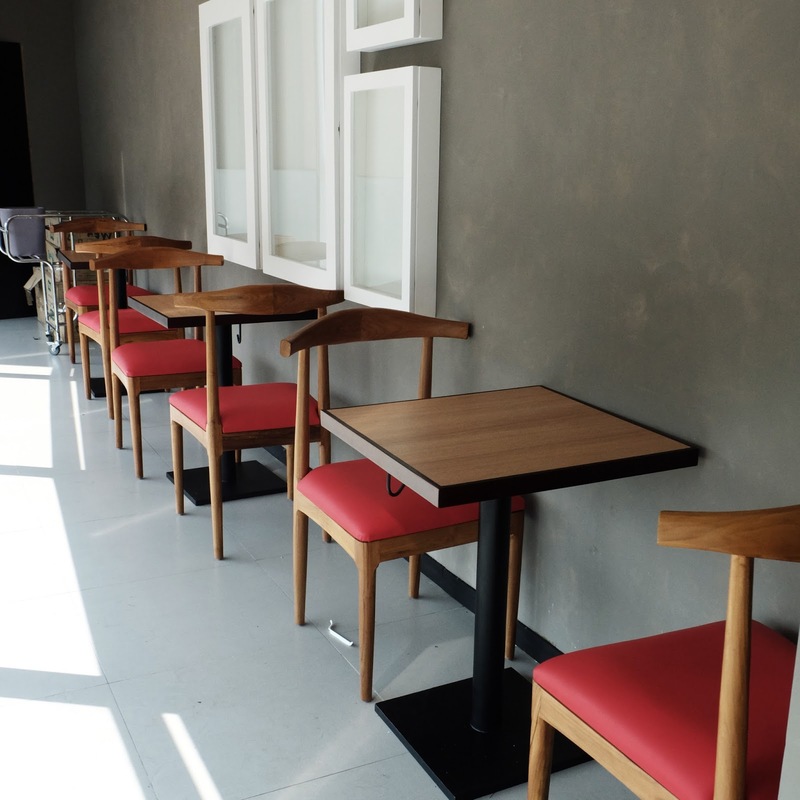 The décor is minimally designed with red and light oak wood dominating the furnishings. Ordering the food starts by making your way to the cashier before you seat yourself and food will be served at the table. The staffs were patient enough to guide you through the ordering of the food; from favorite menu to additional toppings you can add on your Donburi. 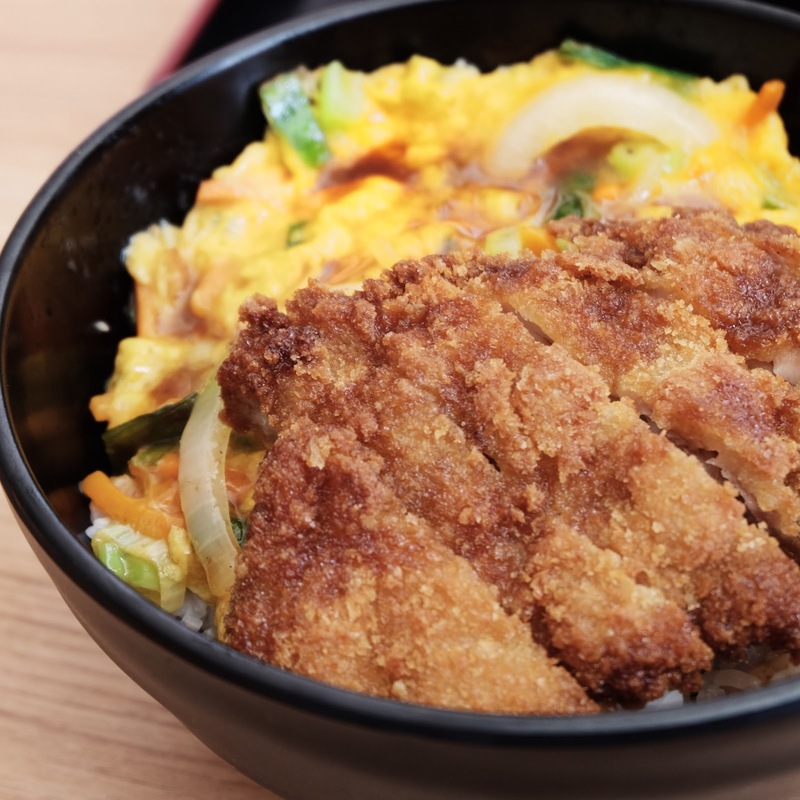 My favorite of the food I ordered was the Chicken Katsu Donburi. The chicken is tender, moist and slightly creamy from the egg makes it extra delicious. 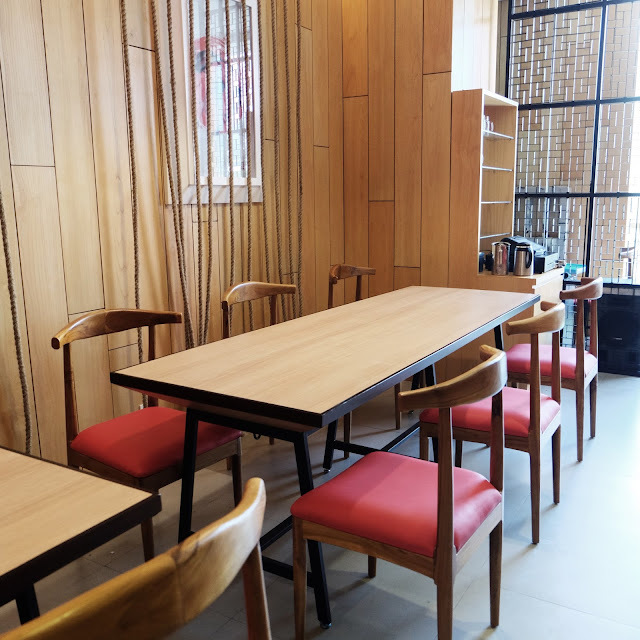 The signature sauce gives the extra boost that propels the dish into a must-try when you visit this place. 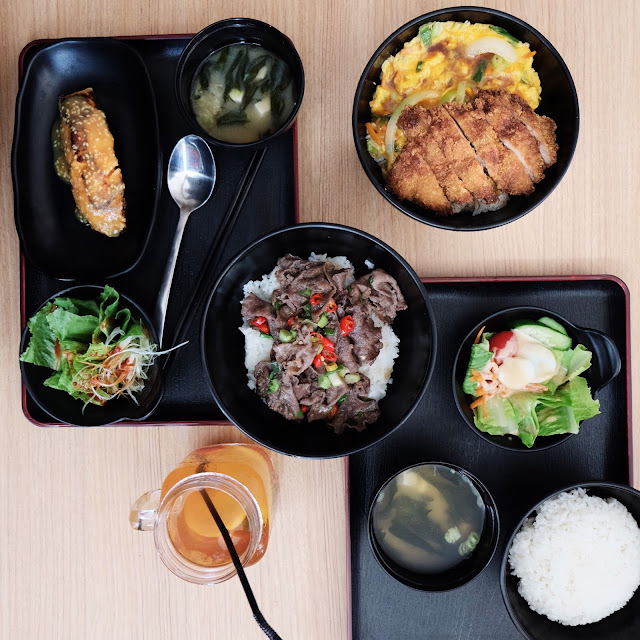 One additional note about this dish is that it only comes in Large portion, but fret not, I have a hunch that even those that eats little might finish that large portioned bowl of yummy goodness! The set menu comes with Japanese salad and miso soup with the portion that they mentioned to be 25% bigger than the regular menu. 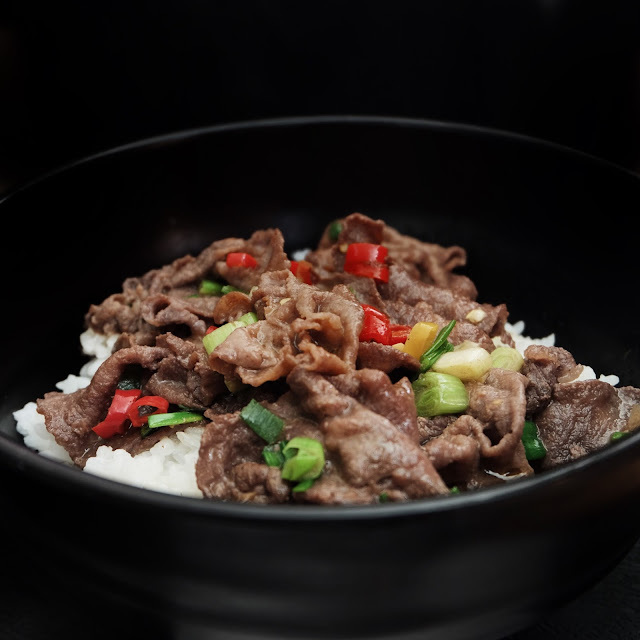 As the server came with my Gyutan order at the table, my mouth waters with anticipation. Just as delicious as it looked, the Gyutan is tender, thickness to its perfection, seasoned in an umami effect and unmistakably spiced. It was not a disappointment. 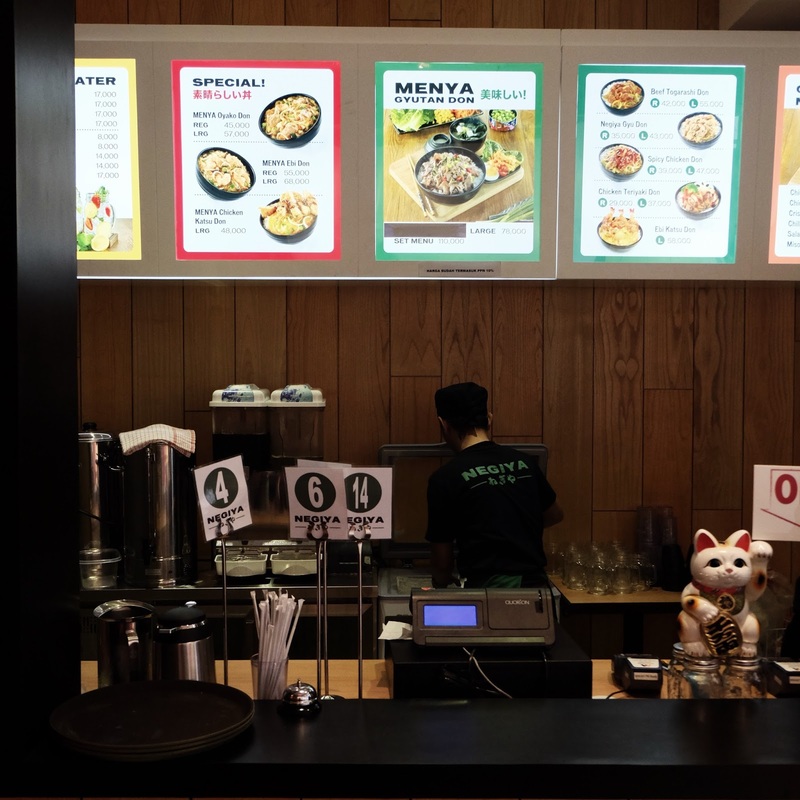 However, the rice was problematic for me, Japanese rice has a distinct flavor (I feel that I’m experienced enough to recognize the taste of Japanese rice) and the rice on that Gyutan bowl was not Japanese rice that I’m accustomed to; it almost actually taste bland. 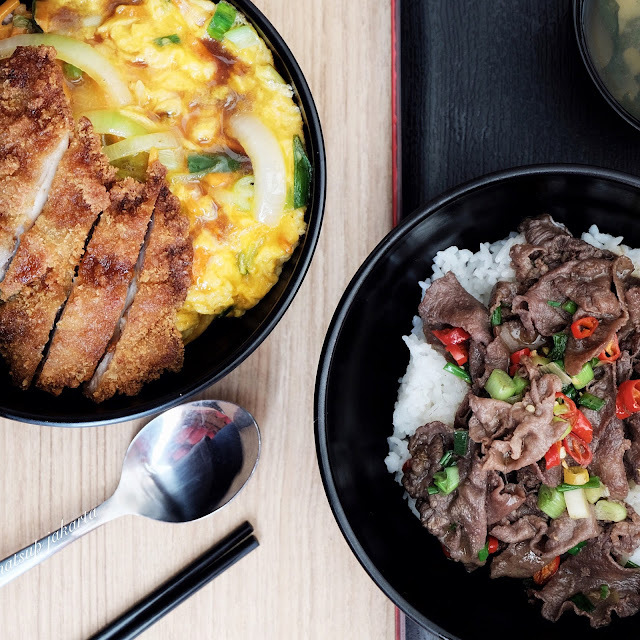 The blandness when eaten together with the tasty Gyutan dragged the Gyutan bowl into mediocreness, and that is a huge dismay. I hope that in the near future they fix the little glitch. 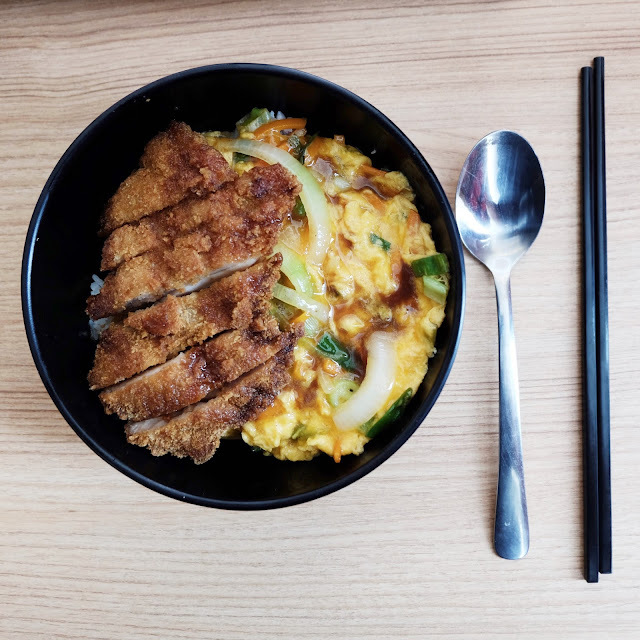 With that mediocrity of Gyutan Don that has been claimed their most requested/signature dish from the menu, I personally prefers the Chicken Katsu bowl. There I said it. 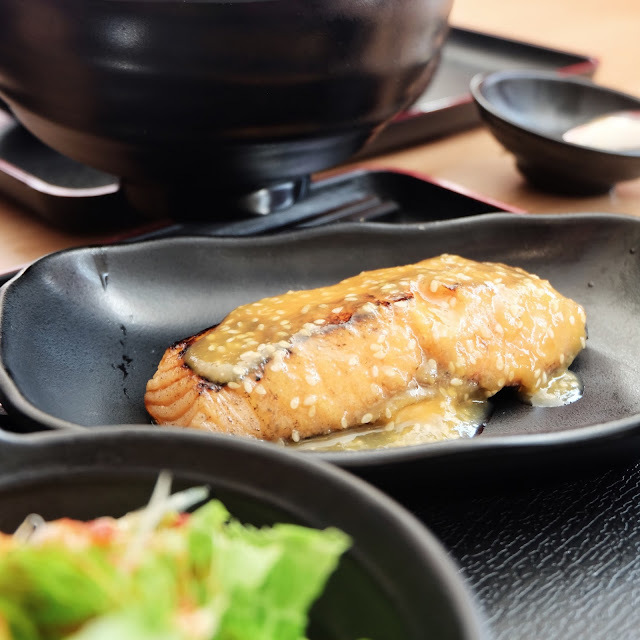 The Grilled Salmon miso set menu comes with Japanese rice salad and miso soup. 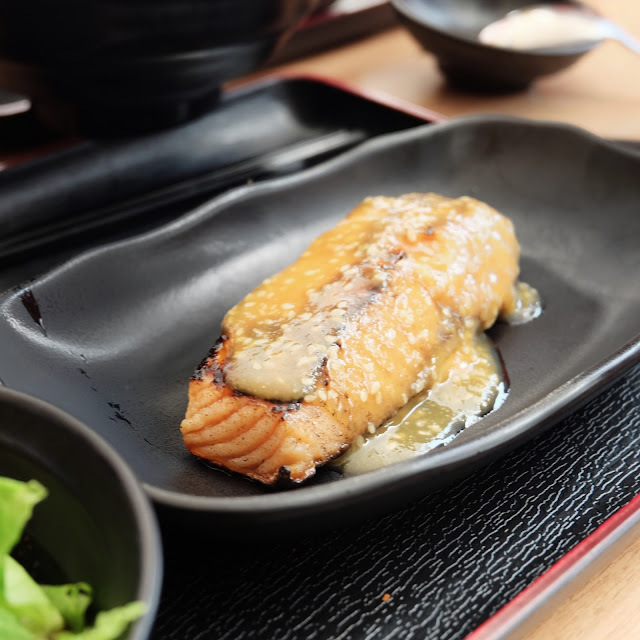 The salmon tasted fresh and cooked perfectly. 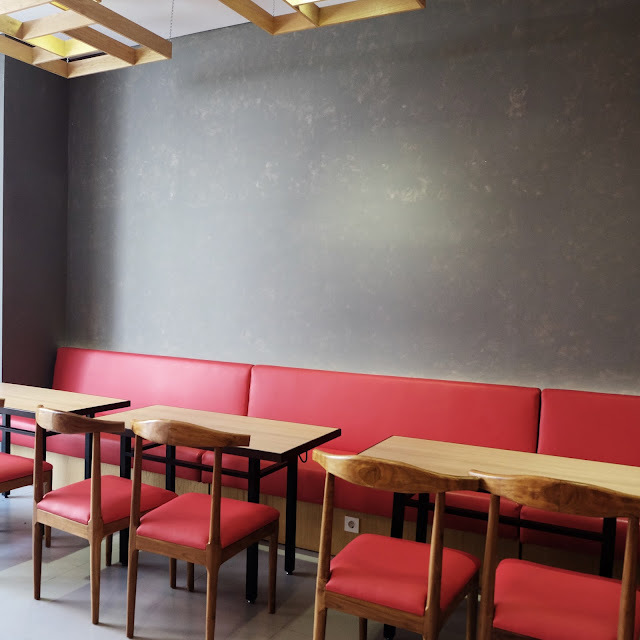 The sauce comes in two flavors, the sweet savory teriyaki sauce and salty miso sauce with sesame seed. 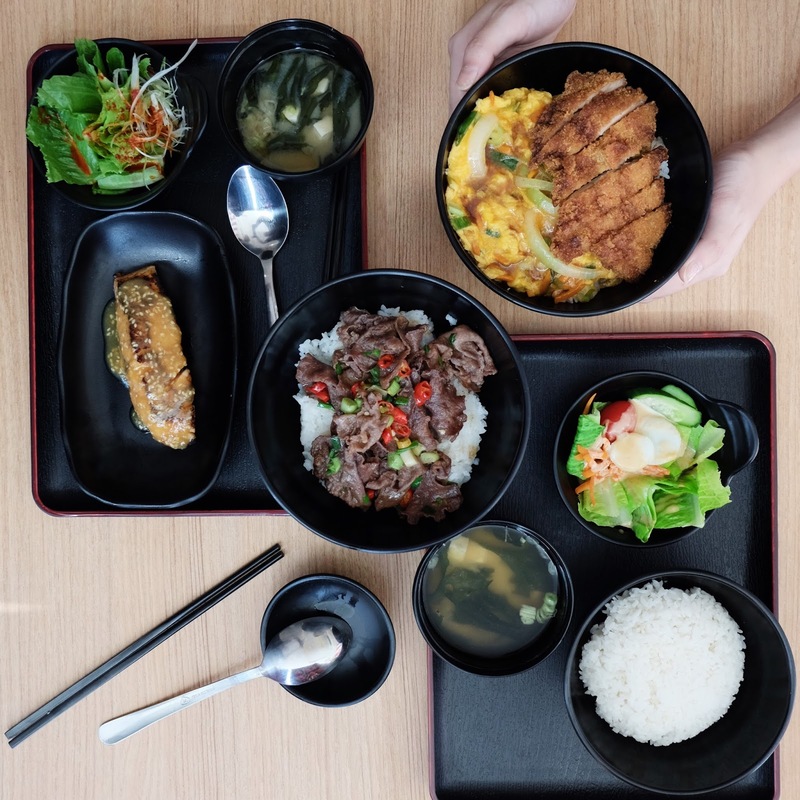 I personally would choose the salty miso sauce over the sweet teriyaki sauce (I heard miso is a healthier choice) I would also recommend the Grilled Salmon miso set menu, it is my second choice after the winning Chicken katsu bowl.